For producers and community leaders looking to create sustainable cultural change. The Isabel Leadership Team is planning a COLLEGE TOUR for 2021-2022. If you would like to be a part of this Isabel Experience, contact CEO Anna Westbrook directly at anna@annawestbrook.com with the subject line COLLEGE TOUR. The Isabel leadership & performance team can come to you and lead a movement for community change. The entire Austin-based Isabel team may be able to travel to you! Summary: 10 actors and 15 leaders travel with equipment to presenter venue choice. Producer (AW) manages, travel, hospitality (hotels & food), programs, rehearsal schedule, set, etc. The Isabel leadership team and key actors can travel to collaborate with you. The Austin-based Isabel leadership can travel to lead your local team. Summary: 3 actors and 13 leaders travel with equipment to presenter venue choice. Presenter manages package A responsibilities, recruitment of 7 actors and 2 leaders (sound engineer, master electrician), hospitality (3 rooms for 14 days, additional 6 rooms for 7 nights, food for 15 team members for production week), travel (15 passenger van & 17’ bus rental). 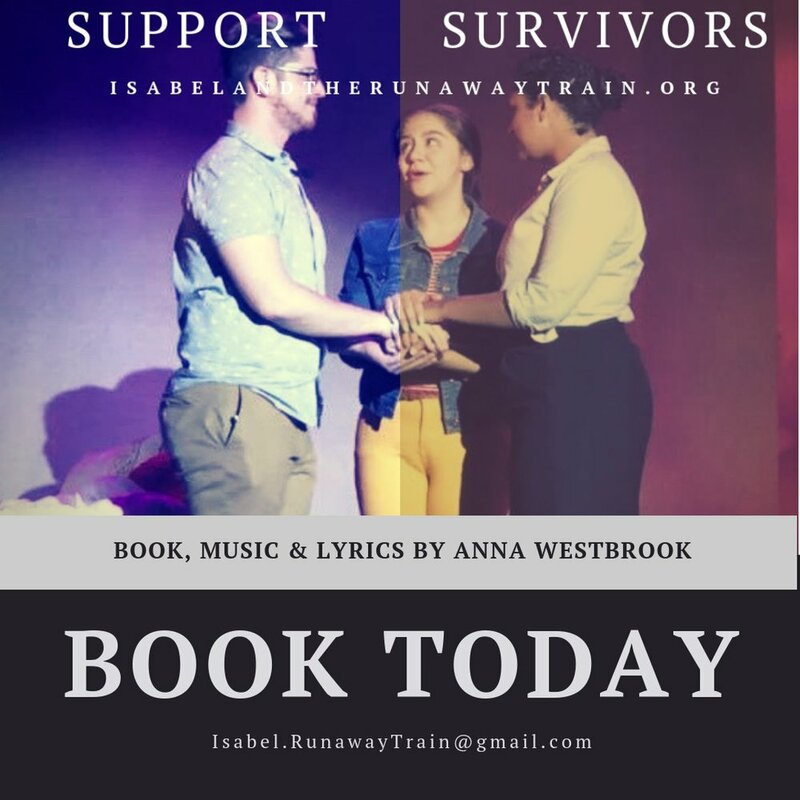 Isabel leadership provides fundraising support (grant writing available), marketing support (successful marketing campaign records available), wellness training for cast and crew, and sales training for cast and crew. 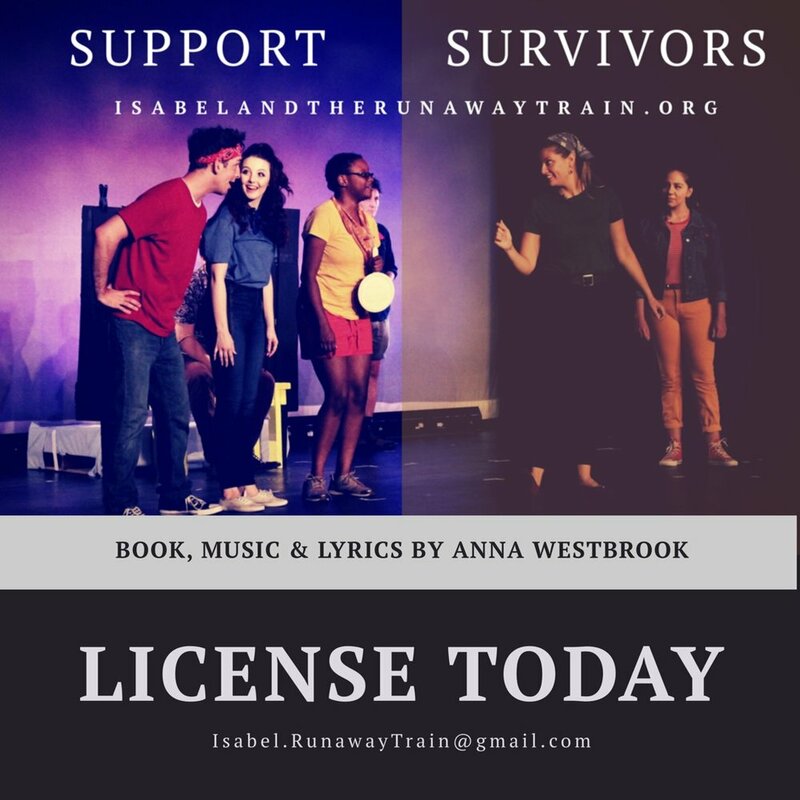 You can license the Isabel Book, Music & Lyrics (written by Anna Westbrook) for your own Isabel production. Your team can produce Isabel & The Runaway Train. Summary: Composer/Playwright Anna Westbrook provides permission to use script and score. Team Members: 10 actors, 1 - 5 musicians (choice of score). Marketing support available upon request.